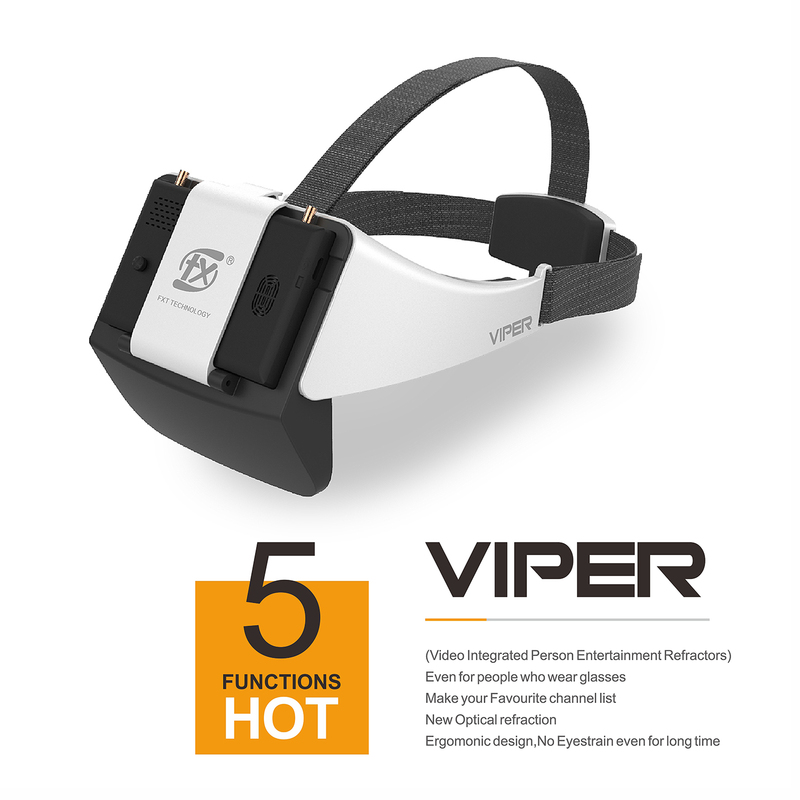 VIPER goggle even for people who wear glasses. with detachable 5inch monitor, combine goggle, separate monitor all in one. built-in true diversity receiver module, auto receive best signal. built-in DVR recording, one key recording. With new optical refraction, ergomonic design, no eye strain even for long time. The only one to make your favourite channel list, enjoy channel DIY. Auto scan channels and frequencies. With AV IN & AV OUT,Plug and play.